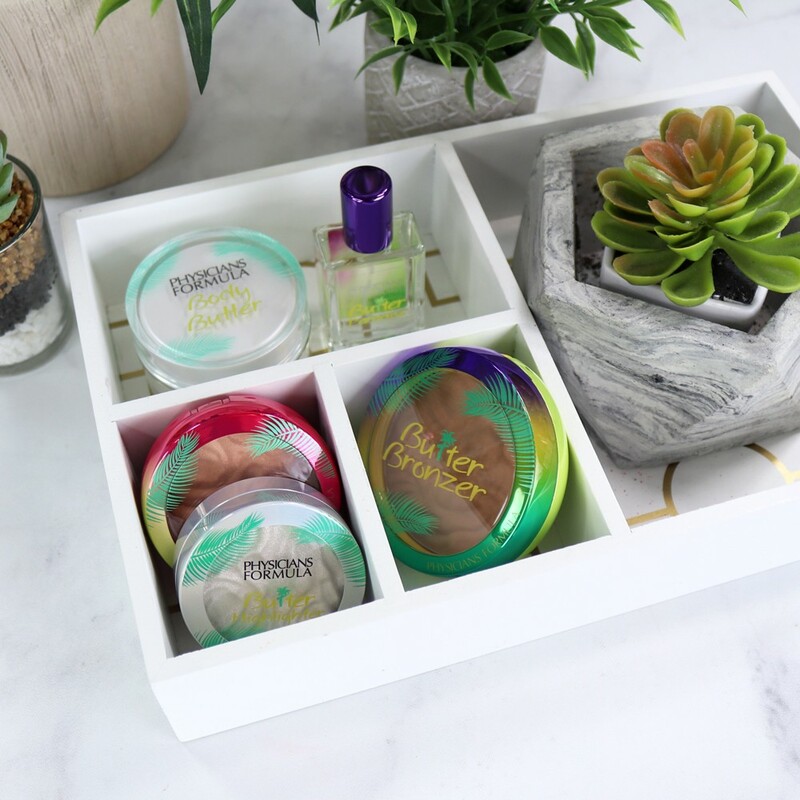 You are here: Home / Body / Physicians Formula Butter Collection Set with Body Butter Giveaway! 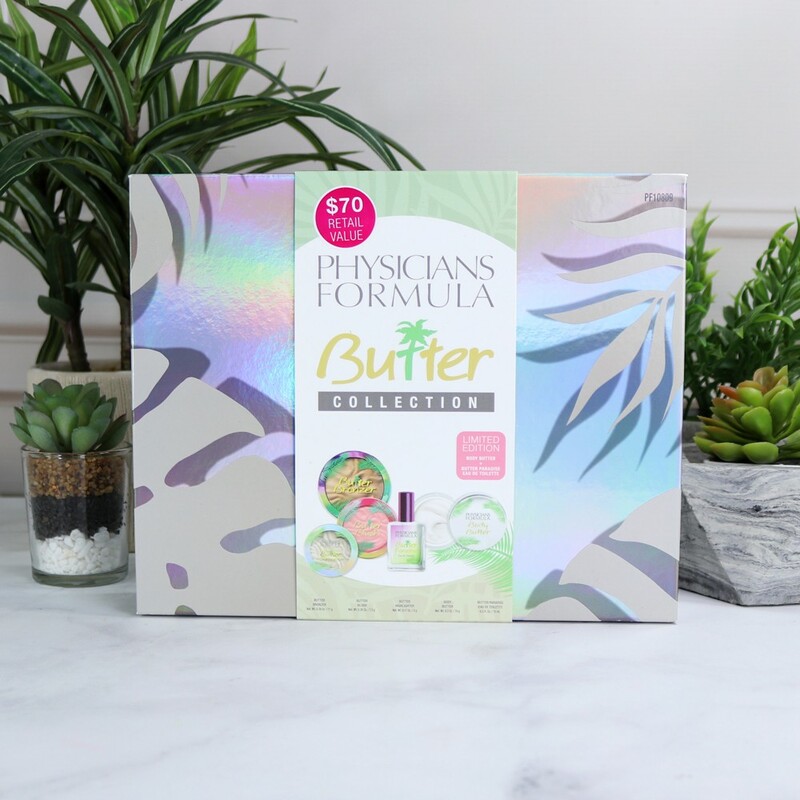 Physicians Formula Butter Collection Box Set with Body Butter! Physicians Formula Butter is at it again you guys! Hopefully you had a chance to read my review of their Butter Collection palettes that were available at Wal Mart. I know they sold out pretty quickly because of the buzz over their limited edition Butter Paradise perfume (which I love!). I think even people who aren’t regular Physicians Formula customers are going nuts over their latest releases! 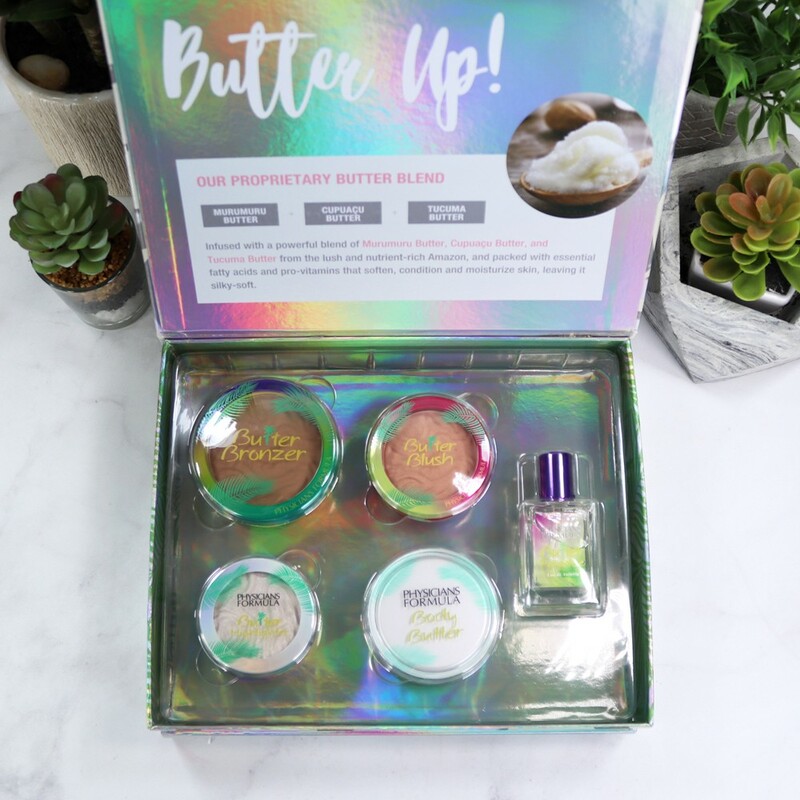 Well now there’s another limited edition release – the Butter Collection Box that you can get at Ulta! 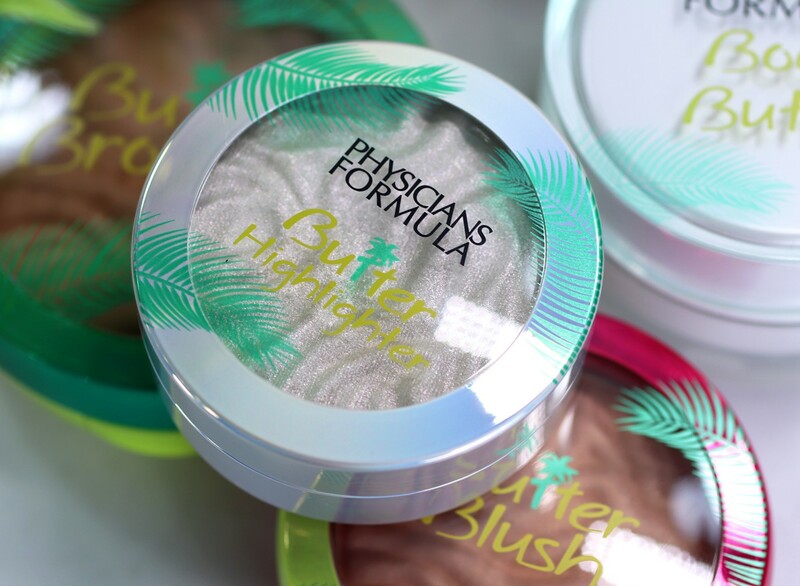 The new limited edition Physicians Formula Butter Collection Box is an online-only exclusive to Ulta. It comes with the original Butter Bronzer, Butter Blush (Natural Glow), Butter Highlighter (Pearl), the new Butter Paradise perfume AND a Body Butter in the same scent! This is a $70 value for $29.99! This is the perfect set for summer since it has a Brazilian beach theme and all of the products have a fabulously beachy scent. The bronzer, blush and highlighter are made with murumuru butter, cupuacu butter, and tucuma butter sourced from the Amazon rainforest. They are very hydrating and full of skin nourishing pro-vitamins and essential fatty acids. You guys already know how much I love the perfume! If you love the scent of the original butter bronzer, you are going to love the tropical scent. It’s very warm, seductive and beachy – lots of coconut, vanilla, sandalwood and floral notes. It’s not too heavy on the vanilla, which is great for me, because vanilla always smells funny on my skin. Weird, but true. 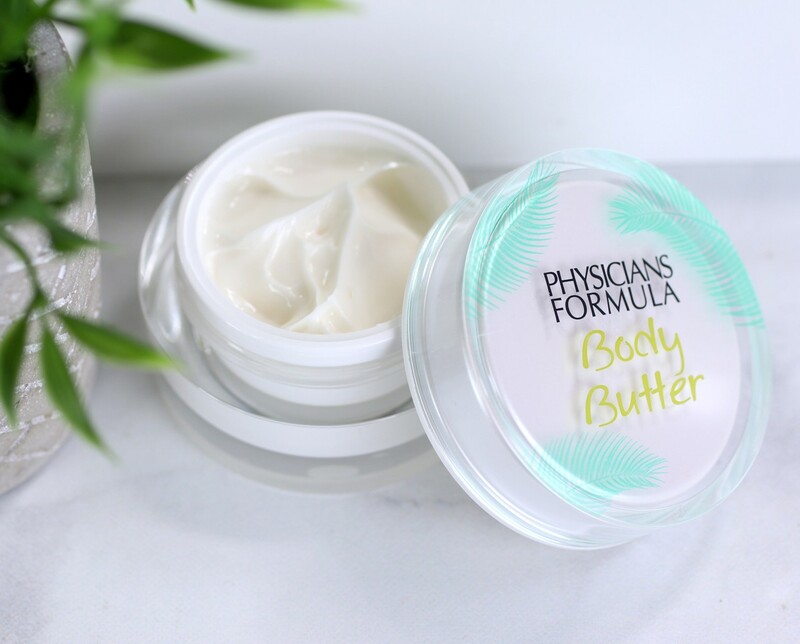 Let’s talk about the NEW product – a Physicians Formula Body Butter!! It smells just like the perfume, and when I put it on, I instantly feel happier. It’s such a summery scent and I am HERE for it! My only complaint is that the jar is pretty small (0.5 oz). A little really DOES go a long way, so I’ll be using this more as a hand cream or applying it to my pulse points for the scent, rather than slathering all over. I hope Physicians Formula has a large version of this in the works. I think this smells better than the Brazilian Bum Bum Cream that everyone raves about and this is much cheaper. No shade – I just prefer this scent and so does my fiancé (and it’s super rare that we agree on a scent). With the Butter Collection Box, you also get a full sized Butter Bronzer (original) and Butter Blush (Natural Glow). I think these are best for fair to light skin tones, but the blush could be used as a highlighter on someone with darker skin. The Butter Highlighter in Pearl (also full sized), however, would look pretty on a range of skin tones. Check out my swatches above to see how they look on my fair olive skin. What do you guys think? Will you be buying this one? You can find this limited edition set at Ulta. 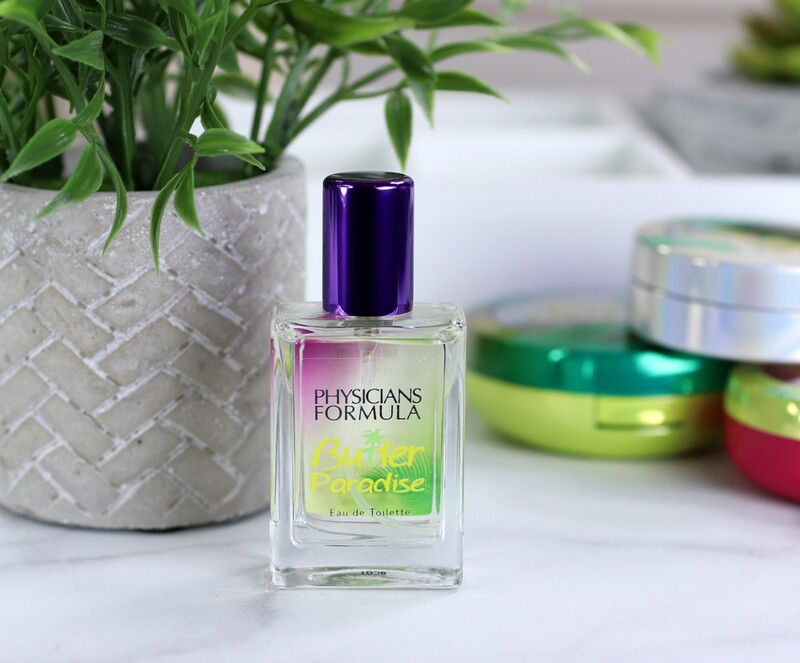 So are you ready to try your luck to win a Physicians Formula Butter Collection Box? I’ve got THREE boxes to give away to lucky My Beauty Bunny readers! By entering, you agree to the official rules. You must be 18 or older and live in the US. Void where prohibited. No purchase necessary. Wait for the Rafflecopter widget to load and enter below. « FabFitFun Summer 2018 Unboxing! I use this Butter Bronzer and really like it. I was surprised at how nice it is. I would like to try the highlighter. I love this box! I am most excited about the Physicians Formula Body Butter! 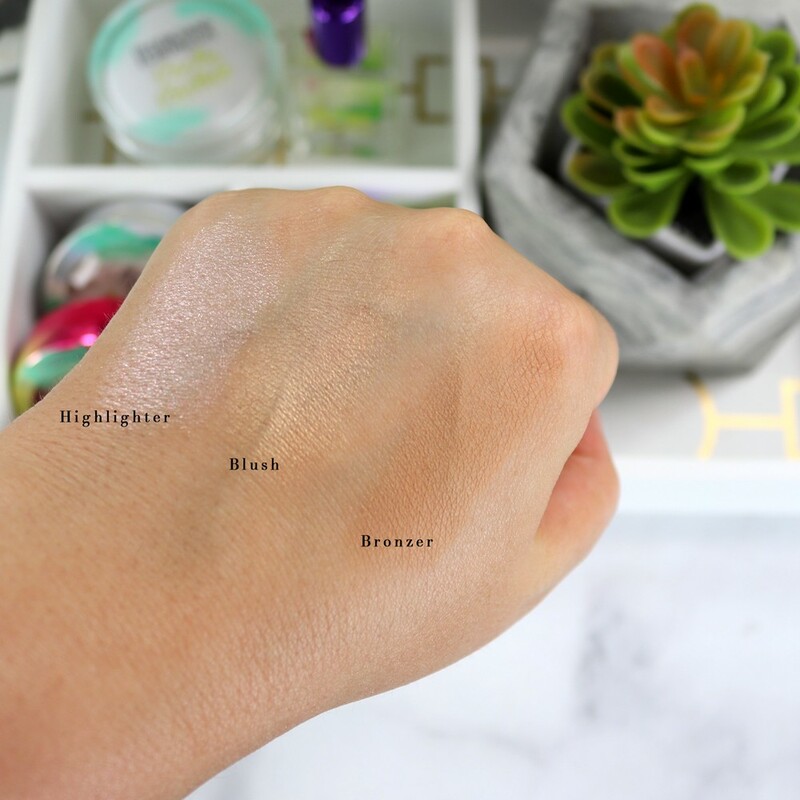 I’m excited to try the Highligher. I really like the shades of the blush and bronzer too. I am most excited to try the Butter Paradise perfume. It sounds lovely. The Butter Highlighter in Pearl sound really interesting and I think color really would be pretty. I like to try the Butter Paradise perfume. I’m excited for the body butter. the Physicians Formula body butter sounds lovely. I’m most excited to win the body butter. Love Physician’s Formula. body butter, all the way. I am such a HUGE FAN of body butters, and that one looks wonderful! I need to pick up a few pieces from the Butter Collection, and that beautiful pink highlighter really suits me! This is hard to pick one. I love Physicians Formula products. So, I will pick the Bronzer, it’s beautiful. I’m real excited for the body butter! I am most excited for the butter bronzer. I’ve never tried anything by Physician’s formula and have seen the butter bronzer on Influenster as the 2018 best drugstore bronzer. It’s great how PF has become a top brand again. It was always just there with a few great items. Now that they’ve come out with these they are really hitting the ground running. I heard that the perfume and the body butter smell just like the Brazilian Bum Bum Cream, which I adore. Yum! I would love to sniff that perfume! The bronzer is my favorite, but I love it all!! I wanna try the body butter bc that’s something different for them! I got an email today from PF that this was available but I had no idea it was at Ulta! That highlighter looks so pretty! I am most excited to try the blush! I’d love to try the Butter Bronzer. I am excited to win and try the highlighter! Perfect for summertime! I own the butter blush & love it so I am excited to win the highlighter. I am most excited to try the highlighter!!!!! I love the pearl. I’m most excited about the perfume and body butter. If I win, I think I’m going to gift the rest to my SIL. who has a lighter skin tone. Physician’s Formula is really on a roll with their Butter collection! The highlight and perfume is what I am excited to try!! Thank you for the amazing giveaway!! The highlighter and body butter look amazing! I’m most excited about that highlighter!! I’ve always wanted a highlighter that was that glowy…I could see myself using that ALL Summer long!! I would like to try the Butter Paradise perfume. I’m most excited by the Body Butter! My skin is parched! I’m really excited about trying the fragrance. This box is so adorable, and the products look awesome! I’m most excited to try the highlighter! I would love to win the butter bronze collection. Checked it out earlier this week and love it. I would be most excited to try the The Butter Highlighter in Pearl! I am most excited to try the butter bronzer. I am most excited about he body butter….I love body butter and trying new formulas. 🙂 Thank you. I’m excited to try the body butter! I would love to try the Butter Paradise perfume! It sounds so summery and pretty. I am excited for the body butter. I really want to win the highliter! looks so pretty! This is a wonderful box. I am most excited to try the Physicians Formula Body Butter. If I win I would be most excited to try the highlighter. I would love to try the body butter and the fragrance sounds interesting. I am most excited about the body butter for my pregnant belly! The butter bronzer is an exciting product. I am most excited to win the perfume. I am most excited to win the Physicians Formula Body Butter. I’m most excited about the blush! I’m excited to win the Body Butter. I love love love the butter bronzer! I will be needing a new one soon as I am obsessively using the one I just bought!